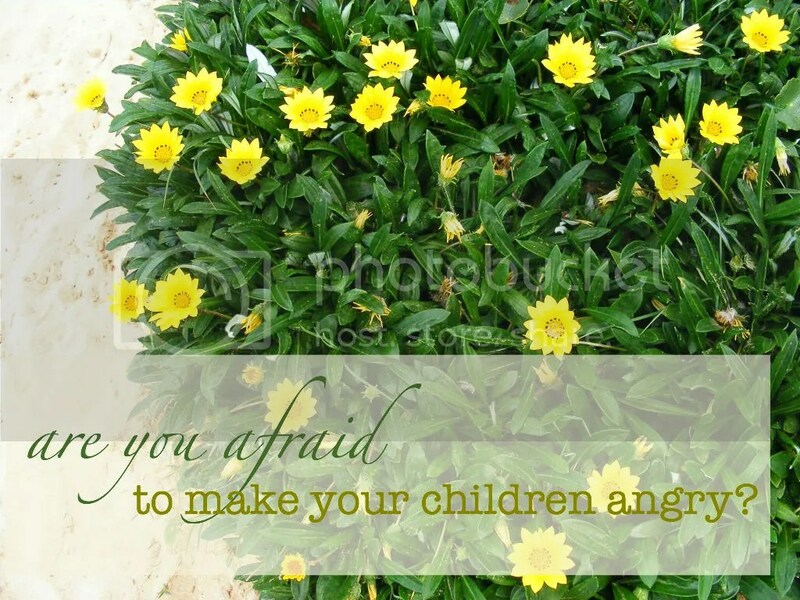 Are you Afraid to make your Children Angry? Categories: discipline, parenting, routine & scheduling | Tags: authority, discipline, motherhood, parenting, training | Permalink. Maybe because we see how easily children pick things up. Or maybe because we all know how life does teach us a lesson or two. Perhaps that’s why people often think it’s okay to let life take care of their children lessons, or let them – as the saying goes – cross that bridge when they get there. The trouble is, if you haven’t taught your child various things they need to know, they may have a dang hard time crossing that bridge. Or, very likely, they won’t want to try. They’ll may stand on one side and look at the other side and wonder how one even uses a bridge. Do you walk across it? Does someone put you on the back of their bike and take you? Does the road move under me like those flat escalator like things? What if I get halfway across freak out since it’s so high up and the ground is so far below? Maybe it’s safer just to stay on this side. There’s probably nothing so great on the other side anyway. We shouldn’t wait for our children to grow up before we teach them to be grown-ups. By then, they’re already behind. 1) Letting life teach your children what you should have will mean they are behind. If you let your daughter figure out how to budget and save/spend money responsibly when she’s out of the house, that is too little too late. There is no healthy period for learning, growth and testing of the knowledge shown because – bham – she already should be keeping a balanced checkbook with her bills paid on time. Many young people have bad credit ratings these days that follow them well into adulthood simply because of irresponsible spending and poor judgement in their late teens, early 20’s and college years. Just like in Algebra. The teacher shows a concept, assigns homework, then tests your comprehension. Parents should do much of the same. Years could have been spent teaching healthy financial habits so that when Penelope was sent into the world she was confident in her ability to manage her money. There’s no need to let her get started off on the wrong foot in the name of letting her “figure it out.” After all, they’ll come to you when they’re broke anyway. 2) Everyone learns from their mistakes, but we can still save them the trouble of repeating ours. Even if we are perfect parents (which is impossible) and we teach them everything we know and then some (which is impossible) and they are perfectly responsible and intelligent beings (which is impossible), they will still make mistakes. It is human. In fact, some of our greatest lessons come from our mistakes. Because we know this, we should help teach them as much as we can so they can bypass the easily avoidable mistakes. Useless mistakes are time and self-confidence killers. Take this example. I can tell you the wall is hard and (a) you can believe me or (b) you can bang your head against it just to be sure. Sometimes we can spare a bad headache by teaching a few basic yet all important lessons. Don’t worry, they’ll still have plenty of mistakes to learn from. 3) This leaves them open to learn from other influences that are perhaps less honorable than our own. I don’t want Jimbob Jr. to teach my children about the birds and the bees. Who knows what they’ll come home with and what visual aids he may have shown them to really be clear about the whole thing. I want to be in charge (as much as possible) of what information goes into my children’s brains. They will gradually come to know what the world thinks about various things, but as far as I’m able I’d like to teach them responsible, honorable, honest, and pure values, practices and habits to set them up to succeed. It is up to them to do the hard work themselves, but I can protect them as much as possible in my own home. Lionesses protect their own cubs and those of other lionesses in their pride. They keep them from danger, move them when a predator may be nearby, and are fiercely protective of their well-being. Over-protection (in the “sheltering” sense of the word may be unhelpful) but diligent protection in the name of keeping your children from things that are harmful to their spiritual, emotional and psychological well-being is just wise parenting. Teach your children the things you hold dear, if not, someone else might try to do it for you. 4) Self-sufficiency breeds confidence, feeling clueless breeds insecurity. My husband could tell you, years ago he was hesitant to death to do anything professional. Making business calls, visiting consultants, opening accounts, etc. terrified him because he had no confidence in his own ability to take care of business. Since diving right in and with a lot of encouragement from me he now does whatever needs to be done. To “figure it out” you need to have the confidence you can do it and some working knowledge of how to operate in the adult world. If you let your children just leave the house with no concept of adult matters, they’ll be extremely nervous and insecure to take care of their business. Again, many college students get themselves into a world of mess because they simply don’t understand the ramifications. Certain personality types will always be more reluctant to get out there and get their hands dirty. In fact, children with these personality types in particular could even be given more attention. Self-confidence and self-sufficiency (in the healthy sense of the word) increase a person’s confidence to tackle new things. There will always new things for them to learn, but learning comes best when there’s a firm foundation to build upon. Now, I know we can’t teach everything and some things they’ll have to learn on their own. This isn’t about guilting ourselves into doing more. It’s just about having a perspective of training so that things like paying bills, doing the budget, going to the bank, being generous, speaking with the attorney, etc. become opportunities for teaching our children skills that will surely come in handy later. PS – For more annoying phrases articles, visit the archives! Categories: annoying phrases, discipline, parenting | Tags: discipline, parenting, training | Permalink. 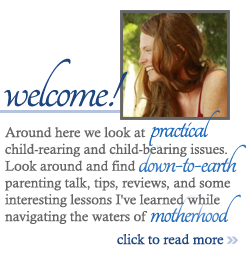 Toddlerwise gave a great concept I have remembered from pre-motherhood. It has to do with discipline and consistency now. 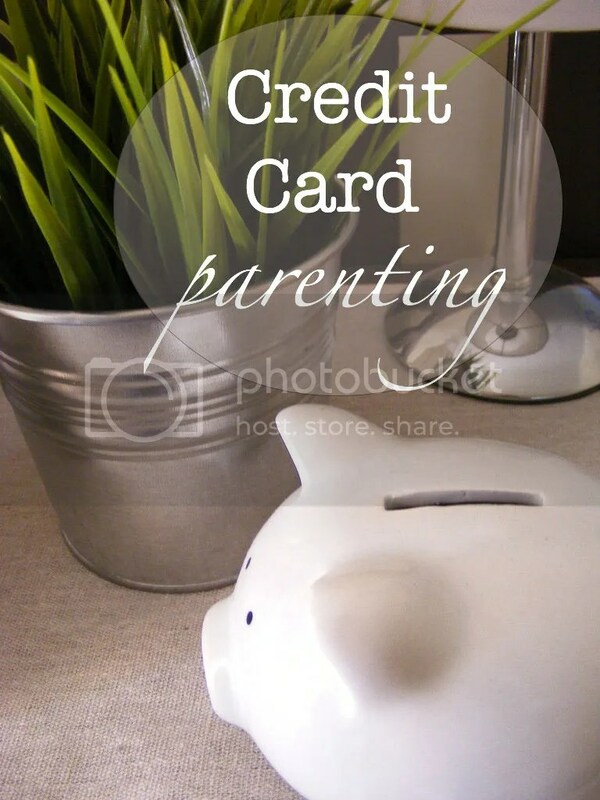 It refers to a certain method of parenting that puts off the hard yards and discipline until the future and it’s called credit card parenting. Let that sink in. Whatever it is you are not doing now…. you’ll still have to do it later. It’ll just be harder. It will be more work, more hassle, and you’ll come up against a stronger will. Here are some common areas we can put off training because it may feel like a hassle. 1) obeying “no.” Babies as young as 8 months can learn the meaning of no and obey it. Categories: discipline, parenting | Tags: parenting, training | Permalink.